“Towards the end of the ‘70s a lack of manufacturer enthusiasm to develop new cars for the existing Group 5 and Group 6 categories loomed. 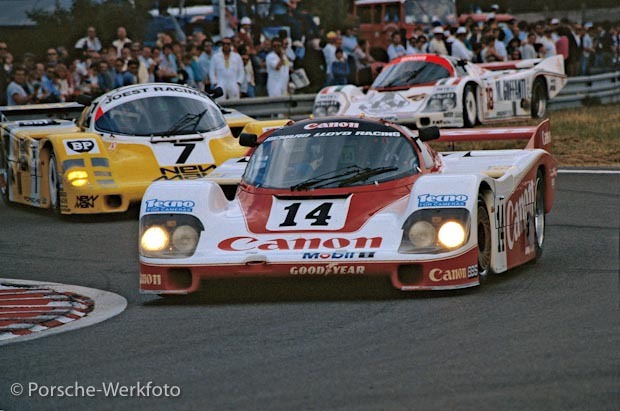 For Porsche, 1976 and 1977 saw victories at Le Mans with the 936 but in 1978 Renault snatched a win with the A442, while Kremer revelled in the glory of an unexpected victory in 1979 with their 935 K3. After the 1979 season, the three factory 936s went into retirement and were wheeled into the Porsche Museum in Stuttgart. The following season Porsche did not contest Le Mans as they focussed on the development of their Indy flat-six engine, but in 1981 the 936s were rolled out from under their blankets and prepared for Le Mans once again. The 936 did not disappoint and scored yet another victory, not bad for a pensioner,” (…excerpt from p.17 of the book). As early as 1978, the skeleton of a new motor racing class began to be thrashed out by the various manufacturers, the final changes being made two years later in October 1980. This allowed the teams time to develop and test their new cars through 1981, as the new championship would commence in 1982. 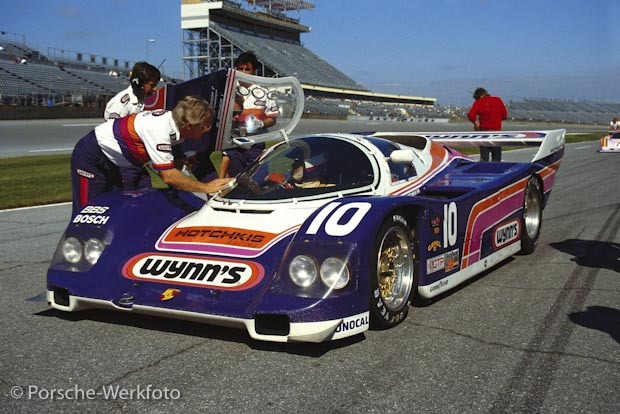 Known as Group C, this category would apply to the top echelon of sports car racing for the next ten years, and more. Many racing enthusiasts agree that this period witnessed some of the finest racing to be seen around the world for many years. In fact Group C racing grew in popularity to the level where it threatened Formula 1, at which point Bernie Ecclestone brought the Group C category to a close by changing the car’s engine requirements, ruling out almost all of the participating manufacturers. So when I discussed doing the 956/962 book with my editor at Haynes Publishing, the opportunity of celebrating the 30th anniversary (1982-2012) since the introduction of the Porsche 956, seemed too good to pass up. And thus began my 956/962 journey that resulted in the 512-page book being covered here. The Group C category was pretty much a fuel efficiency-driven class of racing that allowed the manufacturers a great deal of freedom when it came to engines and chassis. The crankshaft housing or block had to come from a production car, but otherwise the car had to have a closed coupé body, and they could employ ground effects. The concept of ground effects caused many a seasoned racing driver to have to relearn the art of driving very fast around corners. 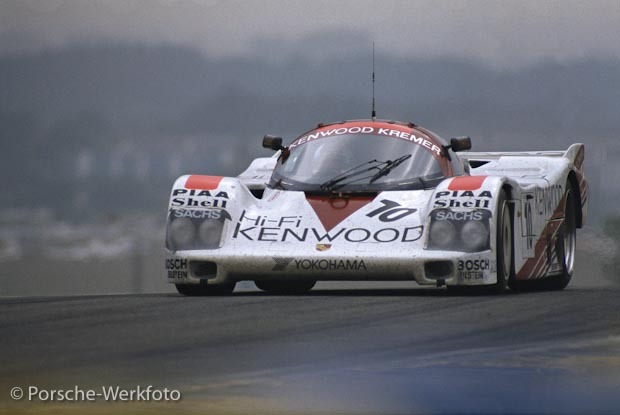 This was a time of unheard of top speeds at Le Mans, and coupled with incredible reliability, the 956 began its life of setting records and becoming the ‘weapon of choice’ for privateers. In the 13-year life span of the 956/962 (between 1982-1994), Porsche manufactured more than 150 of the two versions of this great car. 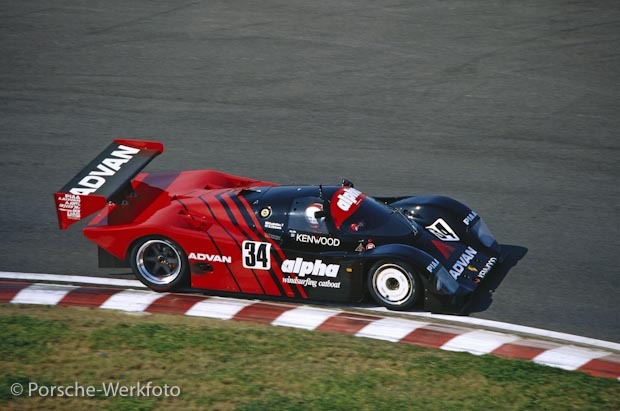 There were ten each of the 956 and 962 variants that the factory regarded as works cars, which leaves around 130 of both types that were referred to as ‘replicas’ and which were sold to privateer teams. These two variants scored no less than 232 international victories in the UK, Europe, Japan, Australia, USA and South Africa during this period, making it the most successful sports racer of all time. 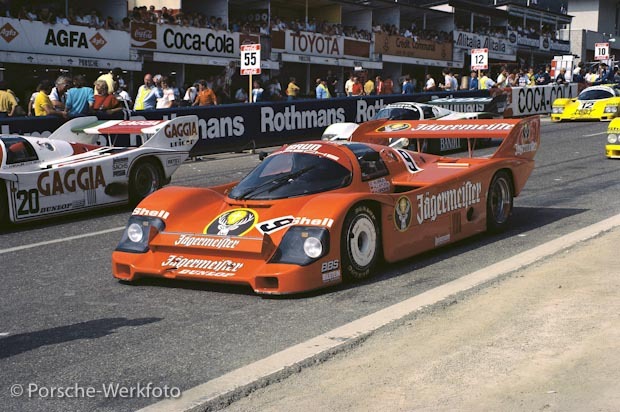 Not only did the 956, and later the 962, rack up victory after victory, but these cars made a truck-load of money for Porsche, as the customer racing department was a very lucrative profit centre. Writing this hefty tome brought me into contact with a number of highly respected drivers, engineers, team personnel and managers. Mention here should be made of Norbert Singer whose immense knowledge from his involvement in the project from the very start, was staggering. 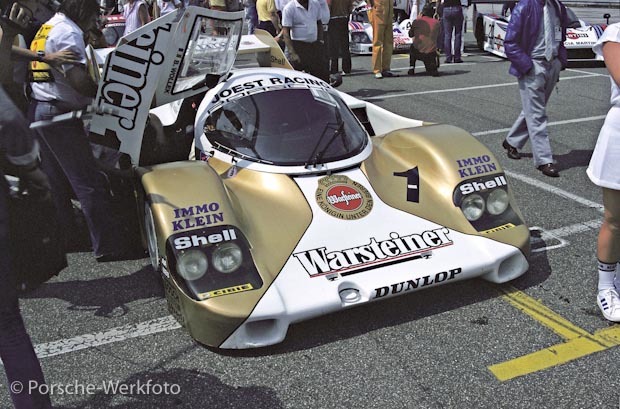 The first person to get behind the wheel of the 956 was Jürgen Barth, and his contribution too, was substantial. I was lucky enough to interview Derek Bell, Brian Redman, John Fitzpatrick, Jochen Mass, Ralph Juttner, Karl Jennings, Klaus Bischof, Alwin Springer (Andial) and Jim Busby, to mention some. Their combined experience and knowledge was invaluable to my work. In many ways this book project was very enlightening in that it made me realise just how utterly dominant the 956 and 962 racers were. At the time that the 956 won its first race in 1982, I was in my final year at university in the small Eastern Cape town of Grahamstown, South Africa. I knew about the 956 through my interest in the sport, but I never dreamed that one day I would meet, interview and photograph those people who developed and then drove this car into the record books. I can remember seeing photos of the 956 in Autosport and thinking WOW!, while my university mates all looked at me and wondered what on earth I was getting so excited about. I would spend hours pouring through Autosport and Motor Sport magazines, much to the detriment of my Economics and Accounts course work, and the bookshelf in my small student room had as many course books on it, as motor sport books and magazines! I cannot think of anything I would rather do than to research and write about these and other iconic race cars. Meeting and interviewing such people and being this close to their race cars, is any racing enthusiast’s dream come true. Motor sport has never been very far away from the top of my pyramid of interests, even when golf was my main sport, and here I represented my club and university teams for many years. My interest, though, would always swing back to motor racing and so it was perhaps inevitable that one day, in my working life, I would come to do what I am doing now. And as long as I am able to tap away on a keyboard, there will always be another race car to be written up…hope you enjoy. I cannot think of any other writer on autosport subjects being thorough on both design, technical and autosport regulations as Glen Smale. 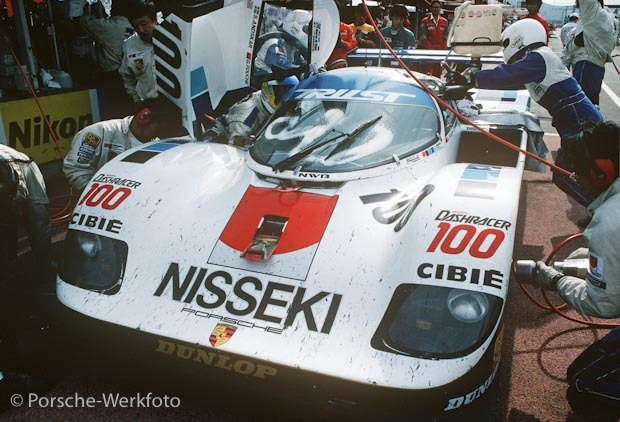 Porsche enthousiasts have no excuse to ignore this Porsche 956/982 A Photographic History Book. He is an accomplished photographer, too.